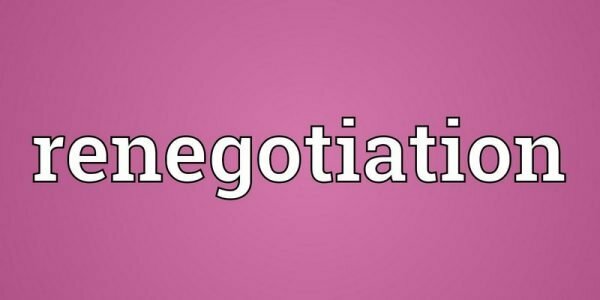 The Greek negotiators try to re-negotiate a commitment that was agreed with the international creditors relatively recently and, in any case, before an upcoming review of the economic program. But this is a violation of the basic principles of international agreements. Bailout programs, whether under the IMF alone, the former Troika (IMF, EC, ECB) or the current Troika (ESM, EC, ECB) already include in their provisions possible revisions of policy commitments during their regular reviews. The international creditors are fully aware that programs are not static, that economic developments may obviate earlier commitments, that exogenous factors may undermine the robustness of the underlying assumptions, and that unpredictable developments may stretch the capacity of the Greek public administration. For all these reasons, economic programs that underlie the lending agreements are subject to regular reviews and revisions. However, if the Greek authorities wish to make changes before the first formal review, there is only one explanation: that they did not mean what they signed and agreed to back in August. That is a dishonest tactic. Parallel to that, the so-called “political solution”, which began during the Samaras government, also reveals a pitiful ignorance about the governance of international organizations. When top Greek government officials communicate with the leaders of the international institutions, they assume that the latter can impose their wishes on their technical staff. The Greek decision makers disregard (or are unware of) the fact that international organizations are rules-based institutions and that their leaders cannot arbitrarily impose on their staff solutions that would violate the logic of their operational framework or would risk raise questions of equality of treatment among member countries. That this simple truth escapes the Greek officials every time they face the deadlines of bailout programs is a sad testament to their inexperience, amateurism and ignorance of international rules and procedures. Accomplices to this third-world negotiating tactics are most of the Greek media, which uncritically repeat the terms “political solution” and “honest compromise” contrived in non-papers of the highly effective communication machine of the present government. The government represents political parties, which, in their quest to remain in power, can use any (legal) tactic they wish, even if it flies against reason and elementary economic principles. But it’s high time the Greek media, if they aspire to be recognized as the Fourth Estate, rejected the government’s fruitless approach, did their homework, and learned how international organizations operate. Spot on! I hope the Greek government reads this. I agree with respect to the “Spot on” comment. I find myself more or less in disagreement regarding the hope that the “Greek government read” this. Why? Very simple: “Hope”, to me, must reflect something that can make a difference. I can not see any one individual in the Greek government today that would even as much as take a moment to reflect on these ideas. Through the lens of political ideology (and to the exclusion of logical analysis) they would simply dismiss it as “propaganda of the establishment”. Being an optimist, I do want to hope in/for something! So I hope that some people in the news media do read it, take a moment to reflect on it, and implement a hard-thought-though process of attempting to convey it to the general public. I know this is only, at best, marginally more likely than what Dagny hopes for, but …..